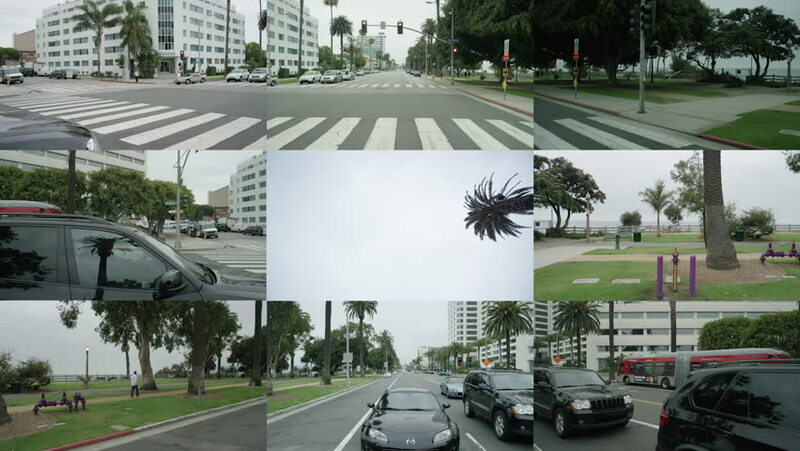 Santa Monica: Los Angeles, CA USA Set #2 - Hero Composite: Car travels S on Ocean Ave. on a cloudy day in light traffic. Shot on RED Dragon. 4k00:24VALENCIA, SPAIN - OCTOBER 20, 2017: A Metro train crossing on a street in Valencia. The Valencia metro network consists of more than 134 kilometers of track, of which 19 kilometers is below ground. hd00:20BARCELONA, SPAIN - SUMMER 2016: Barcelona. Spain. Architecture, old houses, streets and neighborhoods. Downtown, attractions. 4k00:13Russia St. Petersburg June 18, 2017 Architecture of the Pulkovo airport business building in St. Petersburg. hd00:22TBILISI, GEORGIA - CIRCA MAY 2015: Modern building of Ministry of Justice and the Civil Registry Agency near the Kura River in the center of Tbilisi. hd00:17BANGKOK, THAILAND - JANUARY 05, 2017: A view of the passing train of the high-speed land subway "BTS SkyTrain"